The first trailer for Neil Gaiman's adaptation for Good Omens, the novel he wrote with Terry Pratchett, debuted at New York Comic Con today. Have a look. Set to Queen's You're My Best Friend (because as Gaiman put it during today's panel he and Pratchett tought that eventually every car in the UK would have a copy of Queen's Greatest Hits in it) we get a good look at David Tennant as the demon Crowley and Michael Sheen as Aziraphale. 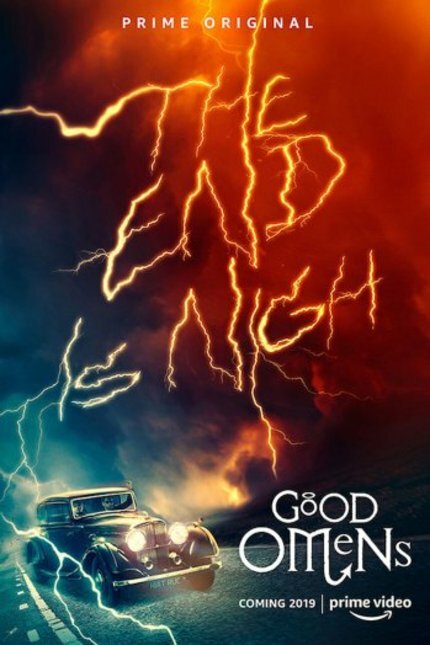 Good Omens takes place in 2018 when the Apocalypse is near and Final Judgment is set to descend upon humanity. The armies of Good and Evil are amassing, Atlantis is rising, and tempers are flaring. Everything appears to be going according to Divine Plan — except that Aziraphale, a somewhat fussy angel, and Crowley, a fast-living demon, are not looking forward to the coming war, and someone seems to have misplaced the Antichrist. Good Omens is an Amazon limited six-part series and will debut in 2019. First Look At Tennant And Sheen In GOOD OMENS!